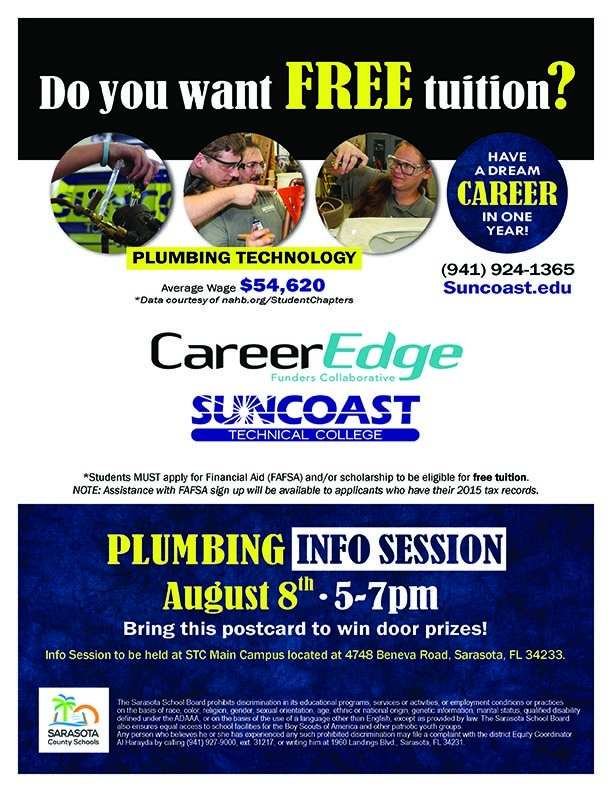 CareerEdge and Suncoast Technical College are teaming up again for a tuition-free Plumbing Technician course. The class will be 9 months long and will meet Monday -Friday 7:30am-2:15pm. An information session will take place in August for all interested applicants. See the flyer below for more information. To see the story in SRQ magazine, click here.